Together, we have introduced an exciting, innovative opportunity to artists in Richmond! Our summer started with splash at the inspirational, open-canvas provided by 1708 Gallery’s 10×10 Exhibition Series, and it was followed by six amazing days of pop-ups inside Glave Kocen Gallery, seven days of workshops in the studios at Visual Arts Center of Richmond, and a grand four-day + one sparkly night finale at the Virginia Museum of Fine Arts. We are growing awareness for the tremendous need in our community for inclusive & integrated work environments. We are creating new art, and even more importantly, we are creating new relationships & connections. We are inspired by spaces our art partners generously share with us. These beautiful spaces give Milk River artists the chance to see new work, create new work, and experiment with new materials, colors, tools and ideas. We have designed rich installations that have filled the gallery walls at 1708 in June and again at Glave Kocen in August. In November, we led the extraordinary InLight Parade at VMFA. We have an ongoing photography installation at Positive Vibe Cafe, and we work the bar every First Friday at Glave Kocen. These events help tell our story and allow us to exuberantly share our mission. We are the happy recipients of overwhelming enthusiasm and interest from so many folks —visitors to our pop-ups, family members, caregivers, teachers & transition counselors, beloved Richmond artists & patrons of the arts, blog writers, journalists, videographers, students & professors, leaders in local government, commissioners in the arts, and dozens of passionate, caring individuals from organizations that support adults with special needs. Milk River is a chance to showcase & celebrate the ways art profoundly enriches the lives of people of all abilities. Our heart-felt thanks to each person who came out and supported us this year. 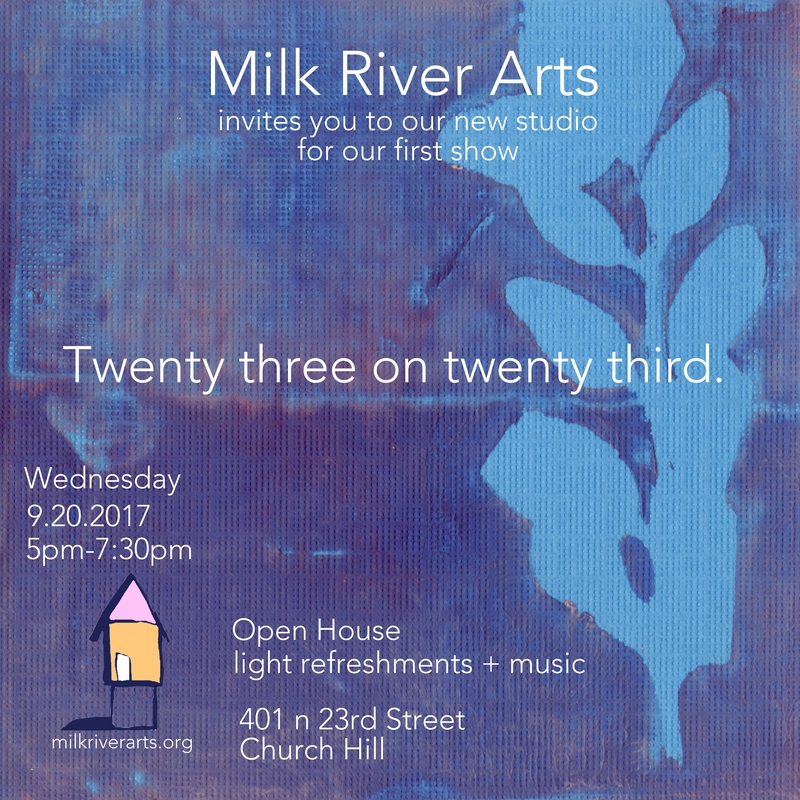 Milk River Arts is just getting started.